Week two's giveaway is here. Enter to win 6 patterns from McCall's, Simplicity, and Butterick! 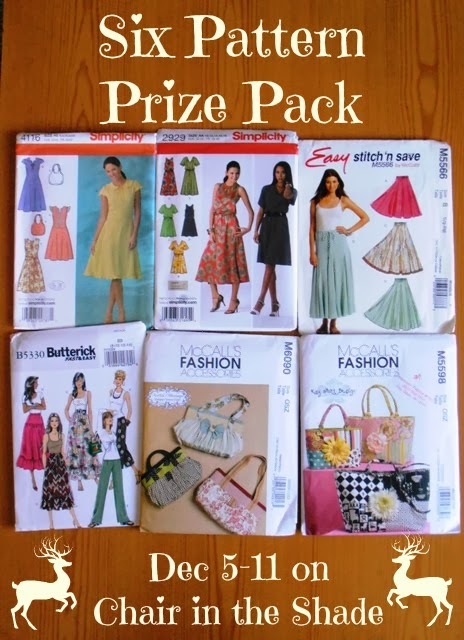 Are you new to sewing or just looking to expand your pattern library? Then this is the giveaway for you. 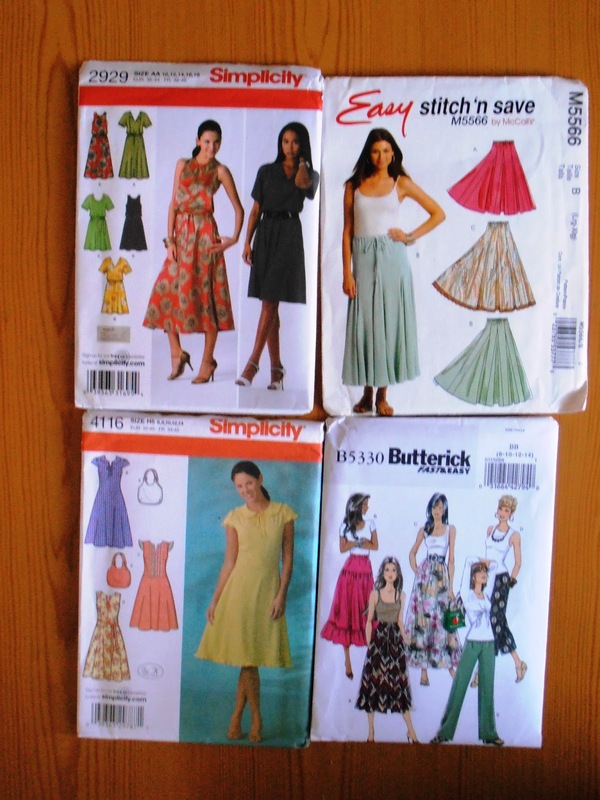 Simplicity 2929 is a dress pattern with four different variations. It's size 10-18. McCall's Easy Stich'n Save M5566 is drawstring waist skirt with godets. It's size large to x-large. Butterick B5330 is maxi skirts in a couple different variations and pull on pants. It's sizes 8-14. 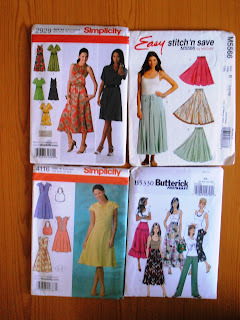 Simplicity 4116 is a dress with a couple different variations including a peter pan collar, as well as a purse. Pattern is size 6-14. McCall's M5598 is a purse/tote bag pattern in three different sizes. 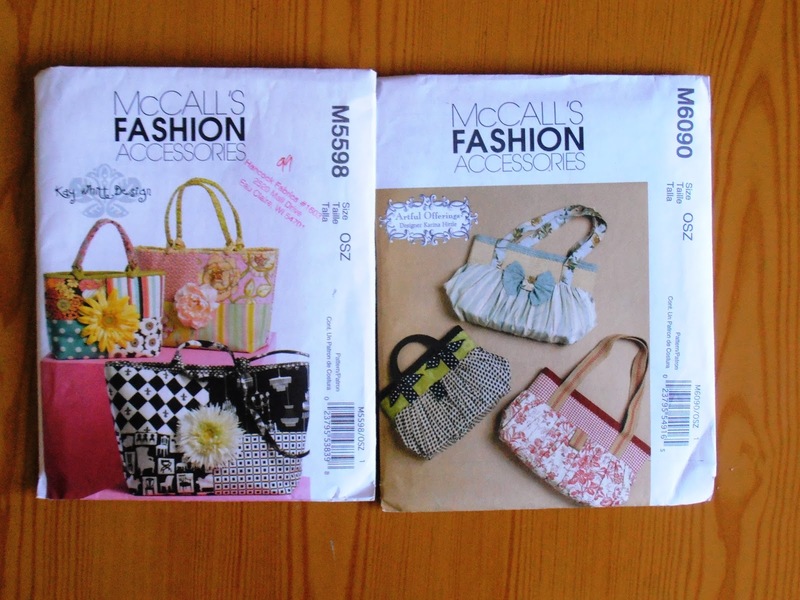 McCall's M6090 is a purse in three different sizes. This giveaway is open world wide. To enter, simply tell me one thing on your Christmas list. You can get additional entries by following on Bloglovin or Pinterest. Fabric is on my Christams and also time to sew! Awesome giveaway hope I win, Thanks!! I want something to organize my sewing table!